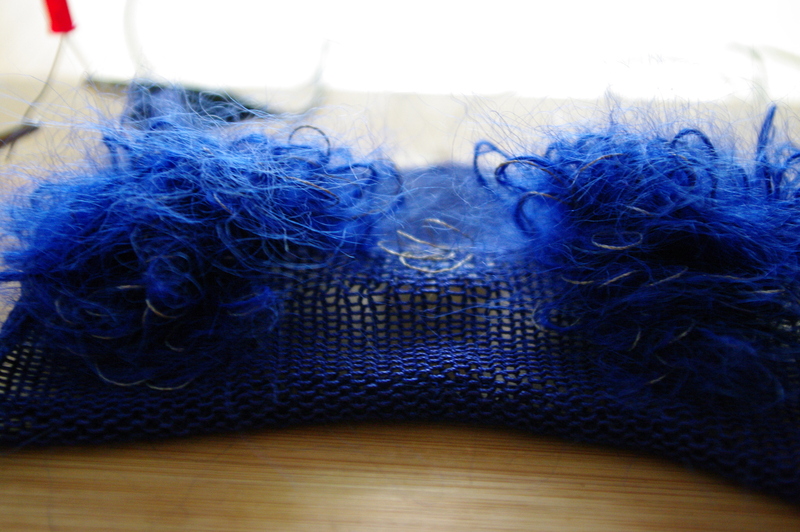 Description: For this swatch sample I use a knitting technique which aims to provide a “fur effect” by creating loops on one side. 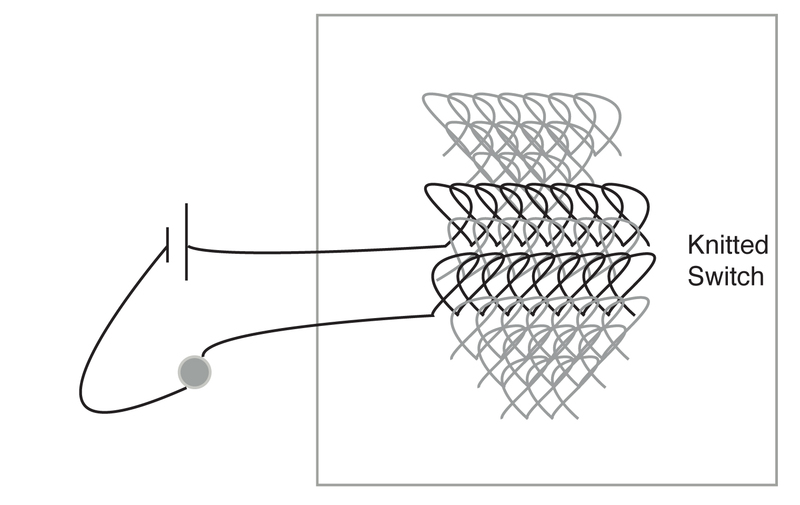 This time, instead of covering the whole surface with loops, the loops divided into two groups. 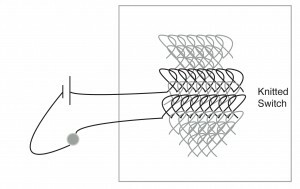 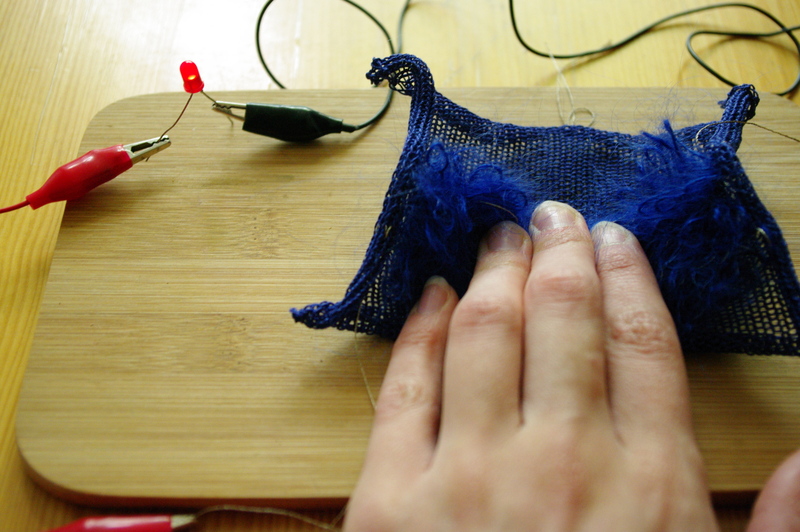 Because of conductive yarn within these two parts, the pattern becomes a switch when we stroke the surface. 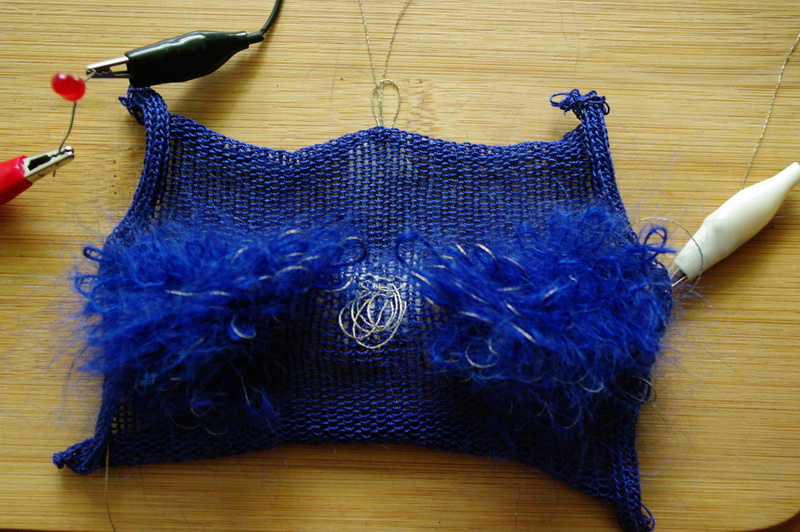 This project is still in development, I am still trying different ways to make the loops and the pattern.